Today is the ten year anniversary of the beginning of the War in Afghanistan. It's time for a real progress report. Since the war began, more than 2.3 million troops have been deployed to Afghanistan and Iraq, as of the end of July, according to military statistics. Of those, more than 977,000 have served more than one tour and about 300,000 have been deployed more than twice. These deployment rates have resulted in rampant military suicides in Afghanistan. People who served in either Iraq or Afghanistan make up a growing proportion of the 6,400 veterans that Department of Veteran Affairs estimates take their own lives each year. 2) The total operational cost for Afghanistan from the beginning of the conflict in 2001 through 2006 only slightly exceeds the amount spent in 2010 alone — $93.8 billion. 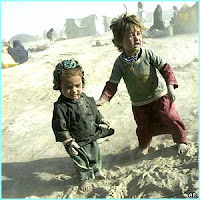 The projected total cost relating to Afghanistan in fiscal year 2011 is expected to be $118.6 billion. Some say that is not even half the true and long-term cost to the United States. These numbers do not even account for the price of the so called "civilian surge" - $2 billion, which is the total cost of the Obama administration’s ongoing surge of civilian officials into Afghanistan, and $500,000, which what it costs taxpayers to deploy each federal employee to the war zone for a single year. Of the approximately $19 billion merely supplied as foreign aid that the United States has pumped into Afghanistan in the past decade, a new congressional report indicates that much of it may be contributing to corruption and to future economic woes for the poverty-stricken country. The report raises questions about the effectiveness of US aid to Afghanistan – for which President Obama has requested $3.2 billion in fiscal year 2012. In a Pew research poll released this week, it was determined that a third of American veterans who served after 9/11 believe the wars in Iraq and Afghanistan were not worth fighting - reality made tougher to swallow with more than 1,700 American troops killed and another 14,000+ wounded. This year, a Rolling Stone magazine expose revealed the story of an Army "kill team" that targeted innocent Afghan civilians for death and thereafter took pictures of them posing with the mutilated bodies and collected body parts of their victims as souvenirs. There is no single official figure for the overall number of civilians killed by the war since 2001, but estimates for specific years or periods have been published by a number of organizations. A United Nations report in June stated that 2,777 civilians were known to have been killed in 2010, with insurgents being allegedly responsible for three-quarters of the deaths. Another United Nations report issued in July 2011 said "1,462 non-combatants died" in the first six months of 2011, with insurgents reportedly being responsible for 80 per cent of the deaths. Despite its history of conflict, Afghanistan recorded just one suicide bombing before 9/11/2011. Afghanistan endured 30 years of upheavals, including bloody coups, a 10-year Soviet occupation, civil war and the rise of the Taliban which in 1996 seized control of Kabul and most of the country. But it was not until September 9, 2001 that the first suicide bombing was reported to have occurred there. That bombing was the assassination of anti-Taliban leader Ahmad Shah Massoud on September 9, 2001 by two men posing as journalists, a killing some security experts believe was directly linked to al-Qaeda’s attack on the U.S. two days later. As reported by CNSNews.com, in Afghanistan, between 2001 and 2004, six suicide attacks occurred, at the cost of 12 lives; in 2005 the number of attacks climbed to 17 (39 fatalities) and in 2006 it soared to 136 attacks (272 people killed). One hundred and eighty-three people were killed in 116 suicide attacks in 2007; 725 died in 146 attacks in 2008: 140 attacks in 2009 killed 1,054 people; and in 2010, 1,141 people were killed in 140 attacks. The first eight months of 2011 have brought 35 suicide attacks, and 329 deaths, with July and August particularly deadly months. The total for Afghanistan over the decade since 9/11/2011 is 736 suicide attacks, and 3,755 lives lost. In remarks at the Council on Foreign Relations this past Thursday, Runaway General Stanley McChrystal, former commander of coalition forces in Afghanistan, said the U.S. and its NATO allies are only “a little better than” halfway to achieving their military goals, partly due to a “frighteningly simplistic” understanding of the country. Afghans gathered on the streets of Kabul on Thursday to protest and demand foreign troops to withdraw immediately from the Asian country. Demonstrators claimed insecurity, violence and corruption had all risen during the past ten years despite the presence of foreign troops in the country. 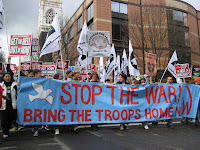 Some of those protesting went on to allege that the Taliban is being supported by the United States. President Barack Obama plans no public events today to mark the anniversary or honor the lives lost. 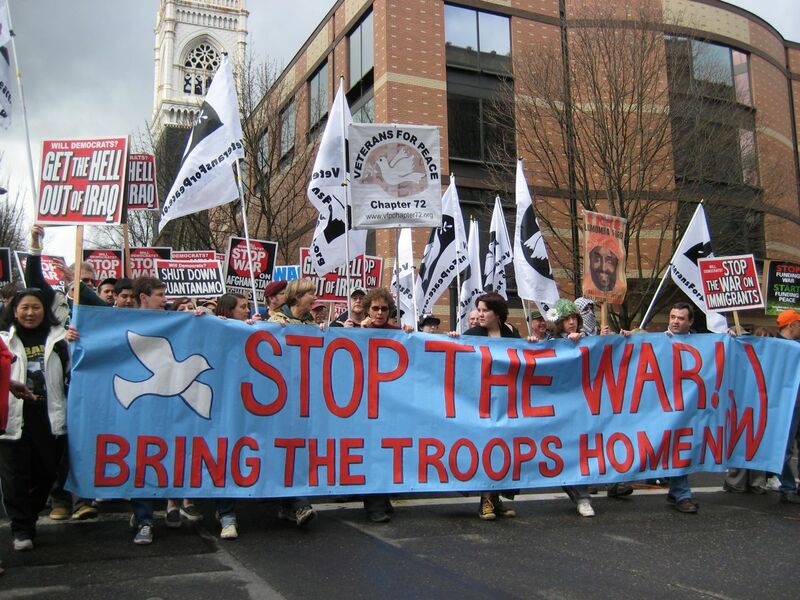 So much for version 2007 Obama's promise to bring home the troops. We the people must demand an end to this war. It has been a terrible loss of life, a drain on our natural resources, and an incredible waste of money.